This is the third in a series of five posts on "Search Engine Optimization Strategies for Resume Writers." The first post in the series addressed the What and Why of SEO. Yesterday's blog post was about Keyword Research. The final two posts will address Setting Up Google Places and Google Places Best Practices. These posts are excerpted from the "Resume Writers Online Marketing Guidebook." Today's post is about SEO Basics. While breaking down SEO completely would be a book on its own (I actually purchased a 330-page eBook on this subject once! ), I will go over some basics. if you have built your website using WordPress, you could do some of the on-page steps yourself. If you went with an HTML design, you might have to get your web designer to make a couple of changes. The changes will be quick though, so it shouldn’t take too much time. Search Engine Optimization can be broken into two main categories: On-page and Off-page. • Title Tags: You might have to get your web designer to fix these for you if you use a traditional HTML website. These are simply the titles of each page and are the first thing Google sees when it finds a new page. The “title” in this case is what is displayed ABOVE the address bar in your Internet browser. It is at the very top of the browser. On Google.com, “Google” is the page title. If you are familiar with HTML code, this is usually accomplished with the tags near the top of the code. If you are savvy enough, you can change them yourself — just remove what is in between them and paste in one of your keywords. In WordPress, you can handle this even easier through uses of plugins like All-in-One SEO. Each page of your site should have a different title tag. Make it one of the keywords that you created in the previous step. In some smaller towns, this is all you will need to do to get to the first page of Google for localized terms. If you use WordPress, you can access Permalinks through the Settings and create a custom structure like: /%postname%/. This will make the title tag of every post you create to be the same as the Post Title. So just name your blog posts with keywords and you will automatically have keyword rich title tags. Another point for WordPress. • Content — You want to mention your keywords in your content, but not too much. You don’t want your content to seem low quality and unnaturally stuffed with keywords. Remember, your web content should be written for your visitors, not the search engines. Good quality content that naturally mentions your keywords will engage people, make them more likely to share your site. It will also seem more natural to Google. • Navigation — You should have proper navigation on your site. You want it to be both logical and working. Broken links on your site are a big “no-no.” A broken link in your navigation is especially glaring. You want Google to be to easily find your whole site with no broken links. This includes linking to other parts of your own site. SEO is a major area of study online, and there are a lot of other steps you can take, but the above ones are a great on-page start to any campaign. Since ranking for localized keywords is easier in general, these steps should suffice for most resume writing businesses. Off-Page — In many people’s eyes, off-page optimization is where you should spend most of your time. I personally disagree, though. I think consistent high quality on-page content (aka blog posts) is the most important step. That said, off-page optimization is still very important and probably more important than every on-page step besides content creation. When it comes down to a basic level, off-page optimization is really about one thing — getting backlinks. Backlinks are simply links on other sites that point towards your site. Google values these highly, and it is one of the major ranking factors. Anchor Text: The anchor text is the actual text that makes up the link. When you see a link that says “Click Here,” then click here is the anchor text. Links that have your keywords as the anchor text are more valuable. An anchor text that reads, “Click here to contact an Omaha resume writer” is more valuable. These are some of the basic terms you will come across when you are looking for backlinks or learning more about them. There are a lot of blog posts out there about backlinking, as well as free guides, etc. Tomorrow's blog post is about Setting Up Google Places. This blog post is just one small part of the "Resume Writers Online Marketing Guidebook." Purchase the 42-page special report for just $14 and receive two bonus special reports for free: "How to Add a Facebook 'Like' Box on Any Page" and "How to Use Facebook Ads In Your Resume Writing Business." This is the second in a series of five posts on "Search Engine Optimization Strategies for Resume Writers." Yesterday's post addressed the What and Why of SEO. Future posts will address SEO Basics, Setting Up Google Places, and Google Places Best Practices. 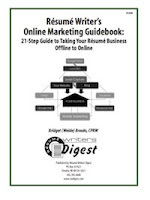 These posts are excerpted from the "Resume Writers Online Marketing Guidebook." Today's post is about Keyword Research. Keywords are the words or terms that people use to search in Google. If you do a search for “Cheap Flights” on Google, then the keyword is: cheap flight. Keyword brainstorming and research is an important first step in any Local SEO plan. These general steps will get you off to a good start. Brainstorm — Sit down and make a list of every keyword term that someone would search for to find your resume writing business. Don’t worry about local terms right now — just think of what people would search in any part of the world to find a service like yours. Write down as many terms as possible. Think of a wide variety of terms, all the way from one-word terms (short-tail) to 3+-word terms (long-tail). I would also ask friends and family for their input. This will give you an outside perspective from an everyday person. If you get stuck thinking about terms, you can get some help from Google itself. Just take one of the keyword terms you thought of and enter it into the Google Keyword Tool. This will give you a list of related terms and their estimated search numbers. Keep in mind we will localize these terms, so the amount of searches will not be directly applicable — but it still gives you an idea of what keywords are searched more often. Spend a good chunk of time on this, and try to get a list of 30-50 keyword terms. Consolidate — Go through this list and take out your five most-desired keywords. You can use personal preference, a hunch, the search results from Google Keyword Tool, and common sense. Until you actually test your terms, you won’t know much about them. So take these five terms and write them down on their own. Keep your other keywords handy though! These will be the five you will start with, but eventually through the power of blogging, you will be ranking for all of the terms. So each new town you use will be another five local keyword terms. Once you have localized your keywords, you will now have a list of local keyword terms that you can begin ranking for. While this is a basic form of keyword research, it is leagues ahead of most of the online marketing that local businesses do. Tomorrow's blog post is about SEO Basics. This is the first in a series of five posts on "Search Engine Optimization Strategies for Resume Writers." This post addresses the What and Why of SEO. Future posts will address Keyword Research, SEO Basics, Setting Up Google Places, and Google Places Best Practices. 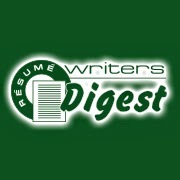 These posts are excerpted from the "Resume Writers Online Marketing Guidebook." SEO means Search Engine Optimization. In basic terms, SEO is the process of making your website more relevant to the major search engines. Increasing your relevancy will mean that your site shows up higher in their search rankings. Due to its overwhelming market share, Google is usually the search engine you will optimize for. Local SEO is optimizing your website to rank highly for local based search terms (keywords). Instead of just ranking for a general keyword like “Resumes” (don't use the accent marks when using "resumes" online), you would try to rank for “Omaha Resumes” or “Omaha Resume Writer” (remember: no accent marks). • Easier To Rank — It is generally easier to rank for a local search term because it is less competitive. You can rank near or at the top of Google for these terms with much less work. For a real-life example, I worked with a business in a town of ~30,000 and was able to get them to the top of Google for a number of localized search terms in a matter of days. • More Targeted — When people are searching locally, they are more often to be ready to buy. It also makes sure that the people finding your site are local and can actually use your services. If you rank for “resumes,” people all over the world will find your site, but if you localize that search term you will be targeting people who are searching from your area. I have found that resume clients often start their search locally first. If they find someone competent that they feel comfortable with, they often stop searching. With the explosions of mobile Internet, finding businesses through search engines will only get more popular. At one time, every business wanted to be in the Yellow Pages. Well, the day of the search engine is here and you want to rank for these local terms. With less competition you can rank quicker and with less effort. You will be tapping into a perpetual funnel of local-based web searches. When you have a website, you want it to rank near the top of the search rankings for localized searches. Tomorrow's blog post is about Keyword Searches. 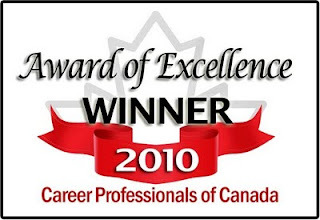 Via Melanie Schlotter, Career Professionals of Canada's Marketing & Communications specialist, here are the nominees for the 2011 Awards of Excellence. 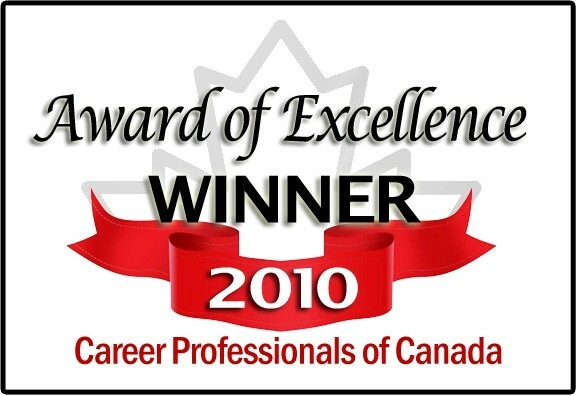 Career Professionals of Canada is committed to setting the standard for excellence in the Canadian employment and career industry. Recognizing outstanding individuals in the profession is one of the organization's most important activities. The CPC Awards of Excellence benefit the general membership, individual members, career organizations, clients, and the industry as a whole. In an effort to bring attention to exceptional achievements of Career Professionals, the organization has established nine awards. It is a great privilege to be nominated and an even greater honor to be distinguished as the recipient of the CPC Award of Excellence. Nominations are accepted throughout the year. Nominees and award recipients are notified personally, and formally recognized on the Career Club Forum and Career Connections Newsletter. Award plaques are delivered directly to recipients. Alright, I'll tackle a business management issue today: Health insurance. Most resume writers are self-employed -- and unless you have a spouse with health insurance, you're probably going to need your own health insurance plan. Health insurance can be confusing, especially if it is your first time shopping around with different providers. Terms such as deductible, co-payments, and pre-existing conditions can be confusing if you do not know what they really mean. There are many ways to find out more about health insurance so that you are as knowledgeable as possible. You could talk to a health insurance company, find an insurance broker, or you can do your research on the Internet. Logically, you would assume that the experts at the insurance company would be able to answer any questions that you have about terminology and any other queries that you have. The best way to get in touch with them is to simply call your provider and ask any questions that you have, no matter how general or specific. They are there to help you, and this should be your primary concern. Think about it: if an agent isn't helpful with your preliminary questions, just how helpful will he or she be if you need to settle a claim? Health insurance can be complicated at first, but the more you know the better off you will be. In a recent weekly email newsletter, author Harvey Mackey addressed the topic of creativity. I addressed the same topic in my book, "Write Great Resumes Faster." Sometimes you just get stuck when you're writing a resume. You can't figure out how to start -- or you start, and you can't finish. While the book gives you some specific strategies for helping you write resumes, Mackay gives you some more general creativity builders. Be aware of what's going on around you. Stay on top of trends. Learn from other people's ideas and mistakes. Rely on your instincts. As you assimilate the information around you and assess the possibilities, factor in your instincts to come up with creative solutions. Assess your options. Sort your ideas into categories, and rank them. Try combining ideas, and eliminate any that don't fit what you're looking for. Stick with it. You need to be persistent if you want to achieve anything significant. Keep a detailed picture of the intended result in your mind to hep you stay focused and move forward. Be patient. You can't hurry creativity, so take time to ponder your ideas. Sit back and take time to think things over. That's usually how the best ideas bloom. Evaluate the results. At the end of the process, ask yourself: Has my vision been realized? Learn from what works and what fails, so you can move on to your next project. Creativity isn't just a process. It's a value. If you value success, get creative! Creativity can be your best asset when you're feeling it -- and it can be your biggest enemy when you're struggling. 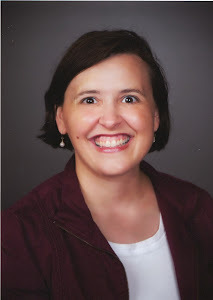 Use Mackay's tips -- and the strategies in Write Great Resumes Faster (including Quick Reference Guides to action verbs, personality traits, profile descriptions, section headers, keywords and more)k0 -- to stay on track! As a self-employed resume writer, disability insurance can be an important component in your financial security. There have been numerous resume writers who could have suffered health challenges that have kept them from writing resumes. There have been resume writers who have had strokes, fought cancer, and had heart attacks. Without disability insurance, your income may suffer. In the event that you are injured or become ill and cannot work, disability insurance will give you peace of mind -- you will still able to provide for your family. (This is particularly important if you are your family's sole provider.) While we would like to think that we will always been in good health, accidents do happen and you need to be sure that you have every angle covered. If you become ill or injured -- and, as a result you are unable to return to work -- there are a couple of options that will replace lost income. These types of disability insurance are not going to fully replace your income because they want you to have an incentive for returning back to work once you get well. Social Security benefits are paid to you when your disability is expected to last for at least 12 months. Most of the time this is when no gainful employment can occur and you must remain out of work for the entire duration of your leave. You can also purchase private disability insurance. When you are looking at disability insurance policies, it is important to understand what they mean. While the two available policies are both for disability, they both cover a different amount of time you will be covered, and when you will start receiving your compensation. A short-term disability policy means that you will be covered for no longer than two years. With this policy, you may have to wait up to 14 days before you start receiving compensation. A long-term disability policy is a little different. The disability compensation will not kick in for several weeks, sometimes a couple of months. However, long-term disability will cover you for a longer period of time -- sometimes for the rest of your life. Along with having the two different types of insurance policies, there are also two different protection features. Protection is offered to you to ensure that you are not going to be treated unfairly due to your inability to work. Non-cancelable means that unless you don't pay your premiums, your policy can't be canceled. With this type of policy you will lock in your premium and will not risk a decrease in the benefits. On the other hand, a guaranteed renewable policy means that the same benefits will be available every year. The only way that your premium will be increased is if every policyholder within the same rating class as yourself increases also. Every once in a while, I'd have a client who was having success getting interviews (even second interviews), but wasn't getting the job. After investigating to see if the problem was how he or she interviewed, sometimes it was clear that something was sabotaging the process between the interview and the offer ... and sometimes that was a bad reference. Usually, the way we found out about this was to use a reference-checking service. The client would engage the firm, and the firm would call the client's references and pretend to be a prospective employer verifying information. The results were sometimes shocking -- the former boss who promised a great recommendation started out by praising my client, but made several backhanded comments that would put doubts in the mind of any prospective employer. Almost as bad were references who had promised to vouch for the candidate, but when asked, wouldn't give information beyond "name, rank, and serial number" (understandable if the company policy prohibited providing more than that information ... but telling the former employee one thing and then doing another isn't helpful...). Now, our clients have to be concerned about social media background checks. Now, any resume writer worth his or her salt tells their clients "What happens on the Internet DOES NOT stay on the Internet" -- but every day on Facebook, I still see things that make me cringe. Even if you have your privacy settings locked down, the background checks will still find stuff... you're probably not as protected as you think you are. For an introduction to the social media background check, read this article on Gizmodo. It's eye-opening stuff ... but with some good hints to pass along to our clients. First of all, the author notes that these checks screen for just a handful of things: aggressive or violent acts or assertions, unlawful activity, discriminatory activity (for example, making racist statements), and sexually explicit activity. It only uses the data an employer gives it to run a search. This tends to be standard issue information from your resume. Your name, your university, your email address and physical location. Which means that, ultimately, you are the one supplying all the data for a background check. Because you are the one who supplies that data to your employer. And that means you should be smart about what kinds of contact information you put on your resume. Great advice -- including the suggestion that most of us give to clients already -- to start a fresh e-mail address that they use for their job search only. Just another thing to think about when giving clients advice about online reputation management.